Dr. Fouad A. Al-Farsi born in Makkah, Kingdom of Saudi Arabia in 1946. He holds a Doctorate Degree in Economics, Political, and Administrative Development from Duke University, North Carolina. Before that he got his Master Degree in American Government from the same institute in 1975 and Master in International Relations from Portland University Oregon in 1971. He did his University Degree in Law from Beirut Arab University in 1968. Currently he serves as Minister for Hajj in the Kingdom of Saudi Arabia. He has been appointed at various important posts in through out of his career like; Assistant Secretary, Ministry of Information for Information Affairs 1977; Secretary Ministry of Electricity and Industries for Industrial Affairs 1979; and Secretary Ministry of Information for Information Affairs (from 1974 to 1995). He has also participated in the membership of Boards of Directors of many bodies and government establishments and represented Saudi Arabia in many local, regional, and international associations. In 995 he was appointed as a Minister of Information and Ministerial Formation, Kingdom of Saudi Arabia. He is now serving as Minister of Hajj in the Kingdom. Beside this Dr. Fouad A. Al-Farsi has also been selected as Member of Joint Saudi American Committee for five Years; Representative of Saudi Arabia in Council of Gulf Organization for Industrial Consultation (five years); Member Saudi Sudanese Committee for Exploration of Red Sea Treasures (3years); Member Board of Directors of Saudi Fund for Industrial Development (five years); Member Board of Director of Saudi Arabian Agency for Standards and Specifications (five years); 6. Member Board of Directors for Dar Saudia for Consultancy Services (5years); Member Board of Directors of Saudi Arabian Basic Industries Company (SABIC) (five years); Member Board of Directors of Saudi Arabia Company for Iron and Steel (HADEED) (four years); Member Higher Council for Information; Chairman Permanent Committee for Investment of Foreign Finance (five years); Chairman Board of Directors of National Company for Industrial Gases (GHAZ) (three years); Chairman Executive Council for Broadcasting Organization of Islamic States (twenty years); Member Higher Committee for Hajj; Member Development Authority for Makkah Al-Mukarrma; Member Development Authority for Madina Munawara; and Chairman Executive Council for Islamic News Agency for twenty years. 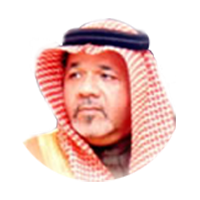 He is a seasoned writer and has extensively written on diverse national and international issues related to Saudi Arabia. He has also authored almost eight (08) books in English and Arabic languages, which includes; Kingdom of Saudi Arabia: Comparative Studies in Development; Current Political Disputes; Information and International Conflict; In Information and Politics and other Disputes; Originality and Modernism: Saudi Equivalence; Writing of King Fahd bin Abdul Aziz; Information and Modern Challenges; and Crime of the Time and Political Explanation. 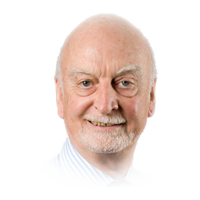 Professor Tim Niblock is Emeritus Professor of Middle Eastern Politics at the University of Exeter. He also serves as Vice-President of the European Association for Middle Eastern Studies, and Vice-Chair of the UK Council for Area Studies Associations. He began his academic career at the University of Khartoum in Sudan (1969-77), where he served as Associate Professor on secondment from the University of Reading. He has since worked at the Universities of Exeter and Durham. Between 1978 and 1993 he was at Exeter, establishing the Middle East Politics Programme there. In 1993 he was appointed Professor of Middle East Politics and Director of the Centre for Middle Eastern and Islamic Studies at the University of Durham. In 1999 he returned to the University of Exeter and served as Director of the Institute of Arab and Islamic Studies there from 1999 to 2005. He has been an Emeritus Professor of the University since 2008. He has written widely on the Politics, Political Economy and International Relations of the Arab world. Among his books are: The Political Economy of Saudi Arabia(2007), Saudi Arabia: Power, Legitimacy and Survival (2006), ‘Pariah States’ and Sanctions in the Middle East: Iraq, Libya and Sudan (2001), Muslim Communities in the New Europe (edited, with Gerd Nonneman and Bogdan Szajkowski, 1997),Economic and Political Liberalisation in the Middle East (edited, with Emma Murphy, 1993), Class and Power in Sudan (1987), Iraq: the Contemporary State(edited, 1982), State, Society and Economy in Saudi Arabia (edited, 1981), and Social and Economic Development in the Arab Gulf (edited, 1980). 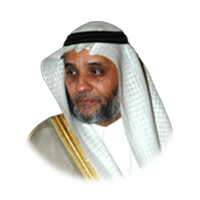 Born in Makkah, Saudi Arabia in 1959, Dr. Abdulaziz Sager is chairman and founder of the Gulf Research Centre. He is also President of Sager Group Holding in the Kingdom of Saudi Arabia which is active in the fields of information technology, aviation services and investments. In November 2003, Dr. Sager was appointed as a member of the Makkah Province Council. In addition, he serves as a member on the advisory board of the Arab Thought Foundation; the Geneva Centre for the Democratic Control of Armed Forces (DCAF); the Faculty of Economics and Administration of King Abdulaziz University; the Ministry of Higher Education, Saudi Arabia; the Geneva Centre for Security Policy (GCSP); the German Orient Foundation; and on the advisory group for the 4th Arab Human Development Report for the United Nations Development Programme (UNDP). Dr. Sager has special research interest in Gulf strategic issues and is a regular contributor and commentator to international and regional media. He also regularly participates in regional and international forums and conferences held on issues relevant to the Gulf region. 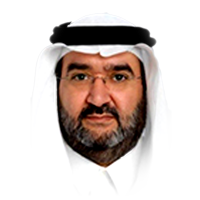 He is the author of numerous publications including Combating Violence & Terrorism in the Kingdom of Saudi Arabia (Gulf Research Centre, May 2004); GCC Political & Economic Strategy towards Post-War Iraq (GRC, April 2004); Reforms in Saudi Arabia: Challenges and Feasible Solutions (GRC, September 2003); “Political Reform Measures from a Domestic GCC Perspective,” in Constitutional Reform and Political Participation in the Gulf, Abdulhadi Khalaf and Giacomo Luciani, eds. (Dubai: Gulf Research Centre, 2006); “Political Opposition in Saudi Arabia” in Saudi Arabia in the Balance: Political Economy, Society, Foreign Affairs, Paul Aarts and Gerd Nonneman, eds. (London: Hurst & Company, 2005); Energy Shapes new Gulf Security Architecture, Journal of Middle Eastern Geopolitics ( 2006); and “Why for all its problems, the EU is still a model for the Arab world,” Europe’s World, no. 14, Spring 2010. He has also been the chief editor for the Gulf Yearbook (2003 to 2009 editions). Dr. Sager holds a PhD in Politics and International Relations from Lancaster University and an MA. from the University of Kent, United Kingdom. Business growth specialist offering over 37 years of experience with an exceptional track record in spearheading customer-centric projects in the IT domain, primarily in the consumer sector; demonstrated expertise in defining IT strategies complex program management and scaling business transformations while providing invaluable and critical information and making key strategic decisions, often utilizing refined negotiation skills. Displaying strong business and commercial acumen while delivering cost-effective solutions and contributing to business growth, both financially and operationally, across the globe. Technically astute professional, visionary thinker, inspirational leader and outstanding team player recognized for creating robust strategies through collaborative approaches in work to translate vision into achievements. Well-developed analytical, problem-solving and decision-making skills, with a strong ability to build productive partnerships along with excellent media and communication skills. IT Strategy Alignment and Project Management – Developing strategic objectives in alignment with business needs and delivering challenging projects on time through clear planning and direction. Devised strategy for infrastructure and IT operations while considering existing and future requirements. Organizational Development and Business Process Transformation – Showcasing analytical and methodological approaches to work while influencing future decision-making, utilizing in-depth industry knowledge and experience. Design and Implementation of IT Solutions – Led cross-functional teams to translate business requirements into business, functional and technical specifications. Designed different IT solutions, associated with business opportunities, end-state, brand building framework, business use cases, deployment strategies and delivery model. Client Relationship Management – Highly effective in communicating with clients to identify needs and evaluate alternative business solutions while continually seeking opportunities to increase customer satisfaction and deepen client relationships. Leadership and Multi-Disciplinary Skills – Visionary leader utilizing logical and creative approaches to work while presenting specialist information to non-experts in an understandable form. A natural leader with high degree of flexibility and adaptability and a proven ability in managing large teams. Senior Management Liaison and Communication – Excellent communicator with influencing and negotiating skills. Ability to work under pressure in fast-paced, time-sensitive environments, as well as interacting effectively with people of diverse nationalities while working in a multicultural and remote setup. Mr. Tarik Mishkhas is a seasoned journalist with a vast working experience in Urdu, English, and Arabic newspapers that extends back to almost three decades. He born in 1960 and got his Bachelor in English Literature from Cairo University. He also holds a diploma in Spontaneous translation from The American University in Cairo and Diploma in Journalism from Thompson Foundation, Wales. 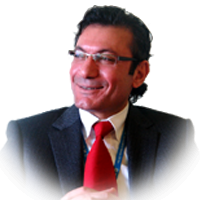 From 1988 till 1998, Mr. Mishkhes has been associated with the prestigious Saudi Media group the Arab News first as a journalist then Senior Editor for International Affairs and Senior Editor for Local Affairs. From Senior Editor he climbed up his way and became the Editor-in-Chief in the same media group. During his long career as a journalist, Mr.Mishkhas has worked in Urdu News—Malyalam News; Urdu News—Urdu Magazine; Malyalam News; Al-Madina Newspaper and Arab News. From 1986 to 1987 he has also served as Saudi Educational Attaché in Cairo, Egypt. He has been conferred upon with Sitar-a- Quadi-A-Azam Medal from Government of Pakistan in recognition of his services for Urdu Media in Saudi Arabia. He has also been awarded Don Rowland Award for best Journalist from Thompson Foundation. Faheem Al Hamid is a renowned personality in the field of journalism. He has more than two decades experience in Journalism with expertise in the Sub-Continent and International and Political affairs. His current position is the Assistant Editor-in-Chief Daily “Okaz” newspaper Arabic and “Saudi Gazette” the sister English daily. 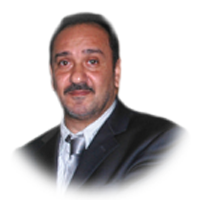 Mr. Faheem Al Hamid was born in Saudi Arabia in 1962. He has obtained his Masters degree in Public Administration. He has done diploma in Advanced Journalism from Florida, USA and attended many International seminars on Media and Public Relations. 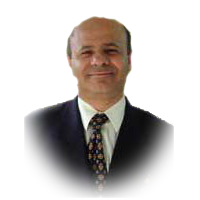 He is expert in English and Arabic languages. Mr. Faheem Al Hamid has wide spread experience in the field of Political and International affairs. During his career he has interviewed a number of famous personalities around the world, naming the few includes Shaheed Benazir Bhutto , Yasser Arafat, Hillary Clinton, Colin Powell, Hosni Mubarak, Muammar Gaddafi, Mahathir Muhammad, Angela Miracle of Germany and Jacques Chirac. He has been the live witness of the famous political and geo-strategic scenarios. As a war correspondent he has the credit of reporting live from the Gulf-War I and II front lines in 1990 and 2002, covering the Iraqi occupation and Allied liberation of Kuwait, and later the US-led war to topple Saddam Hussein. He has reported from the Line of Control in disputed Kashmir in 2000. He has covered the war in the valley of Swat against Taliban of Pakistan (The first serialization on Swat analysis in Arab and Islamic media) May 2009. At the time of 9/11 he was in USA for the training course. He wrote a series of articles themed “America under Attack” He is the world’s first journalist to conduct and publish a daily series of interviews immediately after the 1997 nuclear tests by India and Pakistan. He has covered and reported from ground zero (Afghanistan) on the collapse of the Taliban regime (2001). He is the only Arab journalist chosen for the International visitor program organized by the US State Department to monitor the 1996 US election campaign. He has covered all the elections that brought Benazir Bhutto, Nawaz Sharif and Shoukat Aziz to power. Faheem Al Hamid was the part of the numerous of diplomatic assignments. From 1998 to 2011 he accompanied official Saudi delegations led by King Abdullah Bin Abdul Aziz Al Saud, Crown Prince Sultan Bin Abdul Aziz Al Saud and Interior Minister Prince Naif Bin Abdul Aziz Al Saud to the US, UK, Iran, Italy, Turkey, Germany, France, China, South Korea, Japan, Brazil, Argentina, Venezuela, Tunisia, Algeria, Pakistan, Malaysia. He covered the OPEC summit in Caracas in 2000 and European tour of King Abdullah in 2008. He covered GCC, Arab, Islamic and International summits, and meetings of foreign ministers from 1988 to date.